Judging by Mueller's history, it doesn't matter who he has to threaten, harass, prosecute or bankrupt to get to allege something or, for that matter, anything. It certainly appears Mueller will do whatever it takes to bring down his target -- ethically or unethically -- based on my findings. What does former Attorney General Eric Holder say? Sounds like much the same thing I just said. Holder has stated, "I've known Bob Mueller for 20, 30 years; my guess is he’s just trying to make the case as good as he possibly can." Let’s look at what we know. What I have accumulated here is absolutely shocking upon the realization that Mueller's disreputable, twisted history speaks to the character of the man placed in a position to attempt to legalize a coup against a lawfully-elected President. 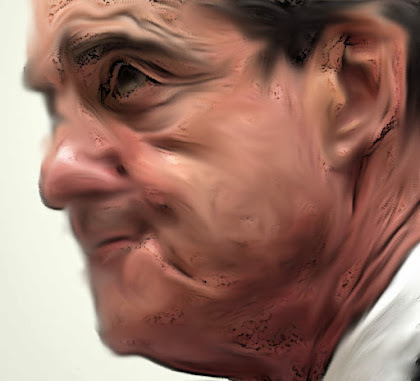 Any Republican who says anything resembling, “Bob Mueller will do a good job as Special Counsel,” “Bob Mueller has a great reputation for being fair,” or anything similar; either (a) wants President Trump indicted for something and removed from office regardless of his innocence; (b) is intentionally ignorant of the myriad of outrageous problems permeating Mueller’s professional history; or (c) is cultivating future Democrat votes when he or she comes before the Senate someday for a confirmation hearing. In his early years as FBI Director, most Republican members of Congress gave Mueller a pass in oversight hearings, allowing him to avoid tough questions. After all, we were continually told, “Bush appointed him.” I gave him easy questions the first time I questioned him in 2005 out of deference to his Vietnam service. Yet, the longer I was in Congress, the more conspicuous the problems became. As I have said before of another Vietnam veteran, just because someone deserves our respect for service or our sympathy for things that happened to them in the military, that does not give them the right to harm our country later. As glaring problems came to light, I toughened up my questions in the oversight hearings. But first, let's cover a little of Mueller's history. Notice also the evidence of a pattern throughout Mueller's career: the leaking of information to disparage Mueller’s targets. In the Whitey Bulger case, the leaks were to organized crime --- the Mafia. In 2006, the Robert Mueller-led FBI took horrendously unjust actions to derail Curt Weldon’s reelection bid just weeks before the vote—actions that were later described as a “hit job”: “Each of Weldon’s 10 previous re-elections had been by sizable margins. Polls showed he was up by 5-7 points [in the fall of 2006]. Three weeks prior to the election, however, a national story ran about Weldon based upon anonymous sources that an investigation was underway against him and his daughter, alleging illegal activities involving his congressional work. Weldon had received no prior notification of any such investigation and was dumbfounded that such a story would run especially since he regularly briefed the FBI and intelligence agencies on his work. A week after the news story broke, alleging a need to act quickly because of the leak, FBI agents from Washington raided the home of Weldon’s daughter at 7:00AM on a Monday morning… Local TV and print media had all been alerted to the raid in advance and were already in position to cover the story. Editor's note: Sound familiar? The early morning raid by Mueller’s FBI -- with all the media outside -- who had obviously been alerted by the FBI, achieved its goal of abusing the U.S. Justice system to silence Curt Weldon by ending his political career. Mueller’s tactics worked. If the Clintons and Berger manipulated Weldon’s reelection to assure his defeat, they did it with the artful aid of Mueller, all while George W. Bush was President. Does any of this sound familiar? There is a doctrine in our governmental system that mandates each part of government must have oversight to prevent power from corrupting --- and absolute power from corrupting absolutely. The Congress and Senate are accountable to the voters as is the President. Our massive and bloated bureaucracy is supposed to be accountable to the Congress. Whistleblowers in the FBI must know they are protected. They always have known that in the past. As I learned from talking with attorneys who had helped the House previously with this issue, if the FBI or another law enforcement entity needed to search something on the House side of the Capitol or House office buildings, they contacted the House Counsel, whether with a warrant or request. The House Counsel with approval of the Speaker, would go through the Congress Members' documents, computers, flash drives, or anything that might have any bearing on what was being sought as part of the investigation. The FBI certainly did not need to conduct an unsupervised search of a Congressman’s office to put their unbeatable case at risk. Apparently, the risk was worth it to Mueller --- he could now show the members of Congress who was in charge. Apparently, the FBI knew just the right federal judge who would disregard the Constitution and allow Mueller’s minions to do their dirty work. Ted Stevens had served in the U.S. Senate since 1968 and was indicted in 2008 by the U.S. Justice Department. One would think before the U.S. government would seek to destroy a sitting U.S. Senator, there would be no question whatsoever of his guilt. One would be completely wrong, at least when the FBI Director is Robert Mueller. Roll Call provides us with General Colin Powell’s take on Ted Stevens. Don’t forget, one vote in the Senate was critical to ObamaCare becoming law. If Senator Stevens was still there, it would not have become law. In the following month after Senator Stevens’ untimely death, in September of 2010, a young DOJ lawyer, Nicholas Marsh -- who had been involved in the Stevens case -- committed suicide at his home as the investigation into the fraudulent case continued. The report expressed, "no conclusion as to his (Marsh’s) conduct," given his untimely death. Robert Luskin, an attorney for Marsh, said, "he tried to do the right thing." If you're wondering what happened to the valuable FBI agent who was an upstanding whistleblower with a conscience, you should know that inside Mueller’s FBI, Special Agent Joy was terribly mistreated. Orders came down from on high that he was not to participate in any criminal investigation again, which is the FBI management’s way of forcing an agent out of the FBI. On the other hand, the FBI agent who was said to have manufactured evidence against Senator Stevens -- while hiding evidence of his innocence -- was treated wonderfully and continued to work important criminal cases for Director Mueller. Though FBI jurisdiction has its limitations, Mueller’s ego does not. Mueller and Comey’s next target in the Anthrax case was Dr. Bruce Ivins. As the FBI was closing in and preparing to give him the ultimate Hatfill treatment, Dr. Ivins took his own life. Though Mueller and Comey were every bit as convinced that Dr. Ivins was the Anthrax culprit as they were that Dr. Hatfill was, there are lingering questions about whether or not there was a case beyond a reasonable doubt. Since Dr. Ivins is deceased, we are expected to simply accept that he was definitely the Anthrax killer and drop the whole matter. That's a difficult ask after taxpayer money paid off Mueller’s previous victim. Mueller had relentlessly dogged Dr. Hatfill using lifedestroying, Orwellian tactics. Either Mueller was wrong when he said it would be a mistake, “to say there were mistakes,” in the railroading of Hatfill or Mueller did intentionally and knowingly persecute an innocent man. In 2003, there was yet another fabricated and politically-charged FBI investigation: this one "searching" for the leak of CIA agent Valery Plame's identity to the media. Robert Mueller’s close friend James Comey was at the time serving as the Deputy Attorney General. Comey convinced then Attorney General John Ashcroft that he should recuse himself from the Plame investigation while Ashcroft was in the hospital. After Deputy A.G. Comey was successful in securing Ashcroft's recusal, Comey then got to choose the Special Counsel. He then looked about for someone who was completely independent of any relationships that might affect his independence and settled upon his own child’s godfather, nameing Patrick Fitzgerald to investigate the source of the leak. So much for the independence of the Special Counsel. GOHMERT: Thank you, Director. I see you had mentioned earlier, and it's in your written statement, that the FBI’s developed extensive outreach to Muslim communities and in answer to an earlier question I understood you to say that you know Muslim communities were like all other communities, so I'm curious as the result of the extensive outreach program the FBI's had to the Muslim community, how is your outreach program going with the Baptists and the Catholics? MUELLER: I'm not certain of, necessarily the rest of that, the question I would say -- there are outreach to all segments of a particular city or county or society is good. GOHMERT: I've looked extensively, and I haven't seen anywhere in any one from the FBI's letters, information that there's been an extensive outreach program to any other community trying to develop trust in this kind of relationship and it makes me wonder if there is an issue of trust or some problem like that that the FBI has seen in that particular community. GOHMERT: Well I've got the letter from the Assistant Director Richard Powers that says in light of the evidence – talking about during the trial – evidence was introduced that demonstrated a relationship among CAIR, individual CAIR founders, including its current president emeritus and executive director and the Palestine committee, evidence was also introduced that demonstrated a relationship between the Palestine committee and Hamas, which was designated as a terrorist organization in 1995. In light of that evidence, he says, the FBI suspended all formal contacts between CAIR and FBI. Well now it's my understanding, and I've got documentation, and I hope you've seen this kind of documentation before, it's public record, and also the memo order from the judge in turning down a request that the unindicted co-conspirators be eliminated from the list, and he says the FBI's information is clear there is a tie here, and I'm not going to grant the deletion of these particular parties as unindicted coconspirators. So, I'm a little surprised that you're reluctant to discuss something that's already been set out in an order, that's already been in a letter saying we cut ties in light of the evidence at this trial. I'm just surprised it took the evidence that the FBI had, being introduced at the trial in order to sever the relationships with CAIR that it (the FBI) had that showed going back to the 1993 meeting in Philadelphia, what was tied to a terrorist organization. So, I welcome your comments about that. MUELLER: We try to adapt, when we have situations where we have an issue with one or more individuals, as opposed to institution, or an institution, large, to identify the specificity of those particular individuals or issues that need to be addressed. We will generally have -- individuals may have some maybe leaders in the community who we have no reason to believe whatsoever are involved in terrorism, but may be affiliated, in some way, shape or form, with an institution about which there is some concern, and which we have to work out a separate arrangement. We have to be sensitive to both the individuals, as well as the organization, and try to resolve the issues that may prevent us from working with a particular organization. We repeatedly see cases where people were radicalized, emerge on the FBI's radar, but federal agents are instead looking for Islamophobes, not the terrorists standing in front of them. That is because Mueller’s demand of his FBI Agents, in the New Age to which he brought them, was to look for Islamophobes. Only one month before the attempted bombing, Abdulmutallab’s father had actually gone to the U.S. embassy in Nigeria and met with two CIA officers. He directly told the CIA that he was concerned about his son’s extremism. Abdulmutallab's name was added to the Terrorist Identities Datamart Environment (TIDE) database. However, his name was not added the FBI’s Terrorist Screening Database. Or even the no-fly list. So, he boarded a plane. When asked about the near-takedown of the flight and these missteps, then-Homeland Security Secretary Janet Napolitano remarkably told CNN that “the system worked.” The only "system" that worked in this incident: a culture that values bravery, already instilled in the passengers who acted. BOSTON: Prior to the bombing of the Boston Marathon by Tamerlan and Dzhokhar Tsarnaev in April 2013 that killed three people and injured 264 others, the FBI had been tipped off. Twice. Russian intelligence warned that Tamerlan was “a follower of radical Islam.” Initially, the FBI denied ever meeting with Tamerlan. They later claimed that they followed up on the lead, couldn’t find anything in their databases linking him to terrorism, and quickly closed the case. After the second Russian warning, Tamerlan’s file was flagged by federal authorities demanding “mandatory” detention if he attempted to leave or re-enter the United States. But Tsarnaev's name was misspelled when it was entered into the database. In Director Mueller’s efforts to appease and please the named co-conspirators of terrorism, he was keenly attuned to their complaints that the FBI training materials on radical Islam said some things about Islamic terrorists that offended some Muslims. Never mind that the main offense was done to the American people by radical Islamists who wanted to kill Americans and destroy our way of life. Mueller wanted to make these co-conspirators feel good toward Mueller and to let them know he was pleased to appease. Director Mueller had all of the training materials regarding radical Islam “purged” of anything that might offend radical Islamic terrorists. So, in addition to using his “Five Year Up-or-Out” policy to force out so many experienced FBI agents who had been properly trained to identify radical Islamic terrorists, now Mueller was going even further. He was ensuring that new FBI agents would not know what to look for when assessing potentially radicalized individuals. When thoseof us in Congress learned of the Mueller-mandated “purge” of FBI training materials, we demanded to see what was being removed. Unfortunately, Mueller was well experienced in covering his tracks, so naturally the pages of training materials that were purged were ordered to be “classified,” so most people would never get to see them. Michele Bachmann and I were extremely upset that Americans were being killed because of the terribly flawed training. We demanded to see the material that was “purged” from the training of FBI agents regarding radical Islam. That is when we were told it could not be sent over for review because the purged material was “classified.” We were authorized to review classified material, so we demanded to see it anyway. We were willing to go over to the FBI office or the DOJ, but we wanted to review the material. We were told they would bring it over and let us review it in the Rayburn Building in a protected setting. They finally agreed to produce the material. Members of Congress Michele Bachmann, Lynn Westmoreland, and I went to the little room to review the vast amount of material. Lynn was not able to stay as long as Michele and I did, but we started pouring through the notebooks of materials. It was classified so naturally I am not allowed to disclose any specifics, but we were surprised at the amount of material that was purged from the training our agents. Some of the items that were strictly for illustration or accentuation were removed. A few were silly. But some should clearly have been left in if an FBI agent was going to know how and what a radical Islamic terrorist thinks, and what milestone had been reached in the radicalization process. That is how an enemy is defeated. You study what they believe, how they think, what they know. Failure to do so is precisely why so many “Known Wolves” are able to attack us. Clearly, Mueller weakened our ability to recognize a true radical Islamic terrorist. As one of my friends in our U.S. Intelligence said, “We have blinded ourselves of the ability to see our enemy! You cannot defeat an enemy you cannot define.” Robert Mueller deserves a significant amount of the credit for the inability of our federal agents to define our enemy. 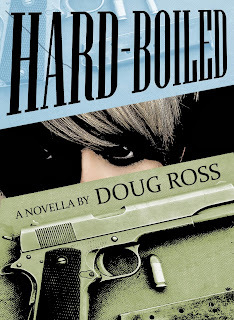 FBI Special Agent Kim Jensen had spent a great deal of his adult life studying radical Islam. He is personally responsible for some extraordinary undercover work that remains classified to this day. He was tasked with putting together a program to train our more experienced FBI agents to locate and identify radicalized Muslims on the threshold of violence. Jensen had done this well before Mueller began to cozy up with and pander to groups such as CAIR. Complaints by similar groups caused Mueller to once again demand that our agents could not be properly instructed on radical Islam. Accordingly, Jensen’s roughly 700-pages of advanced training material on radical Islam were eliminated from FBI training and all copies were ordered destroyed. When Director Mueller decides he wants our federal agents to be blind and ignorant of radical Islam, they are indeed going to be blind and ignorant. Robert Mueller had more than one direct conflict of interest that should have prohibited him from serving as the Special Counsel to investigate President Donald Trump. For one thing, President Trump fired his close friend and confidante, disgraced FBI Director James Comey. Mueller had long served as a mentor to Comey, who would most certainly be a critical witness in any investigation of Donald Trump. Mueller and Comey had also been exceedingly close friends beyond the mentor relationship. But Comey’s insertion of himself into so much of the election cycle -- and even its aftermath -- in conversations he had with the President himself made him a critical witness in the investigation. There is no way Mueller could sit in judgment of his dear, close friend’s credibility, and certainly no way he should be allowed to do so. The law governing the special counsel (28 CFR 600.7) specifically prohibits Mueller from serving if he has a “conflict of interest.” Even the appearance of a conflict is disallowed. The same Code of Federal Regulations defines what constitutes a conflict. That is, “a personal relationship with any person substantially involved in the conduct that is the subject of the investigation or prosecution” (28 CFR 45.2). Comey is that person. He was substantially involved in the conversation with President Trump who may be the subject of an obstruction investigation. In fact, the former Director is the only other person involved. There were no witnesses beyond himself. A conflict of interest is a situation in which an individual has competing interests or loyalties. Here, it sets up a clash between the special counsel’s self-interest or bias and his professional or public interest in discharging his responsibilities in a fair, objective and impartial manner. His close association with the star witness raises the likelihood of prejudice or favoritism which is anathema to the fair administration of justice. 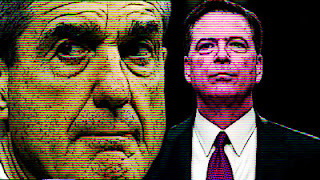 An excellent post by Robert Barnes, a constitutional lawyer, identifies five statutes, regulations and codes of conduct that Mueller is violating because of his conflict of interest with Comey. Byron York, chief political correspondent for the Washington Examiner recounts in detail the close personal relationship between Mueller and Comey which gives rise to the blatant conflict of interest. Of course, then U.S. Attorney Rod Rosenstein had direct control over that Russiauranium investigation in conjunction with FBI Director Mueller. It certainly appears that with what they had gleaned from that undercover investigation, they should never have been involved in any subsequent investigation that might touch on potential collusion and millions of dollars paid to the Clinton’s foundation by the very beneficiaries of the Russians' uranium schemes. Rosenstein and Mueller’s failure to warn against or stop the sale reeks of its own form of collusion, cooperation, or capitulation in what some consider a treasonous sale. Quite the interesting duo is now in charge of all things investigatory surrounding their own actions. In fact, Rosenstein and Mueller are now in a position to dissuade others from pursuing them for their own conduct. Through it all, Mueller’s modus operandi does not seem to have ever changed. He has hired nine Democrat-supporting lawyers and zero Republicans. Certainly all attorneys likely have political views and that is not a problem so long as they do not affect their job. But not a single Republican was worthy of Mueller’s selection? Were there no establishment Republicans who wanted to join his jihad? Mueller’s hand-picked team of Democrats reveal political views that distinctly conflict with Trump and the conservative agenda, raising questions about Mueller’s bias and his ability to conduct a fair investigation. At least nine members of Mueller’s team made significant contributions to Democrats or Democratic campaigns, while none contributed to Trump’s campaign and only James Quarles contributed to Republicans in a drastically smaller amount than what he gave to Democrats. Analysis of Federal Election Commission records shows that Andrew Weissmann, Jeannie Rhee, Andrew Goldstein, James Quarles, Elizabeth Prelogar, Greg Andres, Brandon Van Grack, Rush Atkinson, and Kyle Freeny all contributed over $50,000 in donations to Democrats including Hillary Clinton and Barack Obama’s Presidential campaigns, various Democratic non-presidential candidates, and the Democratic National Convention. Mueller also has surprisingly strong personal ties to a number of the lawyers he hired. Three former partners with Mueller at the Boston law firm of WilmerHale are on the payroll: Aaron Zebley, Jeannie Rhee, and James Quarles. In addition to strong personal ties to Mueller, many of the attorneys have potential conflicts in working for persons directly connected to the people and issues being investigated. Jeannie Rhee represented Ben Rhodes, ex-Obama National Security Adviser, and the Clinton Foundation in a 2015 racketeering lawsuit, as well as Hillary Clinton in a lawsuit probing her private emails. Weissman’s next conviction threw four Merrill Lynch executives into prison without bail for a year, only to be reversed by the 5th Circuit Court of Appeals. 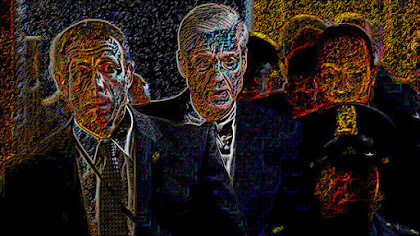 Weissman subsequently resigned from the Enron Task Force. A suspiciously timely move, as the public eye had just caught sight of his modus operandi. Additionally, Weissman has unsightly political ties, having attended Clinton’s electionnight celebration in New York City. He also sent an email to Acting Attorney General Sally Yates, praising her boldness on the night she was fired for refusing to enforce President Trump’s travel ban. President Trump was trying to enforce the law; Weissman was trying to enforce his bigotry against Trump and Republicans. Michael Flynn is a man entangled in manufactured controversy from the moment he stepped into his role in the Trump administration. The circumstances surrounding his take-down have become one of the more puzzling aspects of the TrumpRussia investigation. His career took him from three decades in the U.S. Army to overseeing the Pentagon’s military intelligence operation and directing the Defense Intelligence Agency. Flynn was more than qualified to act as the first national security adviser in a new administration. However, his influence and zeal made him a clear target for the Trump-Russia investigation. As a strong supporter and friend of Donald Trump’s from the onset, he campaigned and publicly supported then-candidate Trump throughout 2016. As best I can sort it out through the media hype and hysteria, having no first-hand knowledge like the rest of America: after the successful election, during the transition period, in December 2016, Flynn reportedly conversed with a Russian ambassador. He was “accidentally” swept up in an intelligence foreign surveillance recording. When this happens, the names of American citizens are supposed to be masked in the transcripts. Somehow Flynn’s name was magically unmasked, which apparently allowed the Obama administration to peruse his meetings and conversations. Parts of the classified transcript of that conversation were leaked to the media by rogue Deep State law breakers (criminals who Mueller seems completely disinterested in). This appears to be what fueled the media-driven narrative of Trump campaign “collusion” with Russia because Flynn had a discussion with a Russian ambassador, which conversation is absolutely legal and advisable. A media-generated doubt clouded Flynn’s reputation, as the discussion was longreported as having taken place during the campaign (which could possibly be illegal) but was later proven to have been after the election and during the transition which should not have been illegal. After a complete pounding of media-driven hysteria, in mid-February of 2017, Flynn resigned having served only 23 days as National Security Advisor. Mueller targeted Flynn using illicitly-gathered and leaked foreign intelligence and surveillance as evidence. Nine months later after Flynn and his family were subjected to Mueller’s usual threats and intimidation, a financially exhausted Flynn entered a guilty plea on one count of lying to the FBI—the result of a Mueller-technique perjury trap as was used on Scooter Libby and Martha Stewart. What is Flynn guilty of? He apparently misremembered a conversation that took place 33 days previously? The FBI had a transcript of that conversation and already knew what information was there. They went into a conversation with Flynn not seeking answers to questions, but to try to trip him up on exact statements made in a conversation when they were already in possession of the transcript. Flynn's unmasking has become the center of a controversy wherein those transcripts were procured under exceedingly questionable circumstances before a judge who had a questionable and undisclosed relationship with part of Mueller’s team. That judge was appointed to the Foreign Intelligence Surveillance Court (FISC), the secretive court created by the Foreign Intelligence Surveillance Act (FISA) that allows federal law enforcement to seek secretive warrants to surveil foreign persons outside of the United States who are suspected of terrorism. But the Obama administration and Mueller seemed to find it much more politically expedient to use the secret court to go after Americans who were part of the Trump team for actions that did not occur while they were part of the Trump campaign team. Strange goings-on. The FISA-authorized FISC is built upon the principle that highly delicate cases dealing with government surveillance of foreign agents and officials would be handled in an unbiased and respectful environment where secrecy at all costs was critical. There is supposed to be an added precaution to prevent any potential for bias in a FISA Judge by having a rotation of judges. That is why it is such a shock to find out now that Mueller’s case against Michael Flynn would happen to end up before the “randomly selected” very dear close personal friend of FBI Special Agent Peter Strzok, who hated President Trump with a passion, as evidenced in his text messages with colleague and paramour, Lisa Page. U.S. District Court Judge Rudolph Contreras, or “Rudy” as Strzok likes to refer to him, should have recused himself from such a highly sensitive case involving the ultimate attempted removal of the duly-elected President of the United States who happened to be despised by the very people who by law were required to prosecute with fairness. He was later forced to ‘recuse’ himself and be removed from the Flynn proceedings, without public explanation. This forced recusal was an unmistakable indication that he never should have been involved in the Michael Flynn plea agreement. Judge Contreras’ conflict of interest has yet to be explained by the court. Contreras’ is one of only three local FISA court judges, and by default, is likely one of the judges who have on four occasions approved the Title I surveillance of another character in this melodrama, Carter Page. This is the case where the FBI is known to have intentionally misled the FISA court by using as evidence the illustrious “Steele Dossier,” a sordid opposition research document paid for by Hillary Clinton's presidential campaign and the Democratic National Committee (DNC). 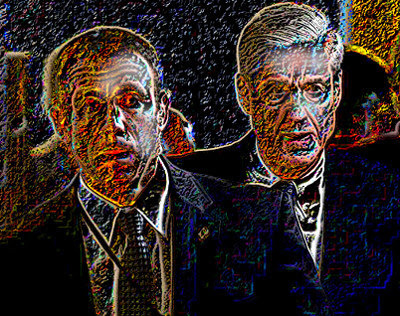 Oh, what a tangled web of crime Special Prosecutor Mueller’s team appears to have helped weave, and of which Mueller appears to be completely disinterested, all while he searches high and low for an elusive crime to pin on the President. 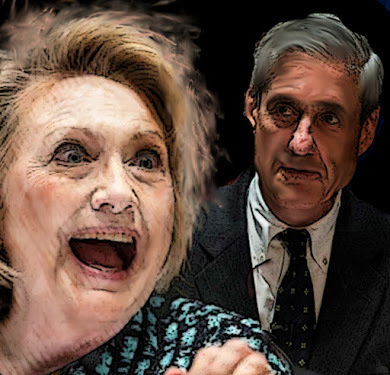 Mueller ignores provable crimes by the Clinton Campaign, the FBI, the FISC, etc. Strategically timed leaks of selective classified information are being used to target individuals for investigation in order to create the appearance of some sinister crime are committed. Upon closer scrutiny, the cases fall apart. Mueller is said to believe that the Prince meeting was to set up a back channel with the Kremlin. But that makes no sense. According to the foundational text of the collusion narrative, the dossier allegedly written by former British spy Christopher Steele, the Kremlin had cultivated Trump himself for years. So what’s the purpose of a back channel, when Vladimir Putin already had a key to the front door of Mar-a-Lago? Further, the collusion thesis holds that the Trump circle teamed with high-level Russian officials for the purpose of winning the 2016 election. How does a meeting that Erik Prince had a week before Trump’s inauguration advance the crooked election victory plot? It doesn’t—it contradicts it. The writer goes on to point out that serious crimes have been committed which Mueller is purposefully ignoring. Prince was thrown into the middle of Russiagate after an April 3, 2017, Washington Post story reported his meeting with the Russian banker. But how did anyone know about the meeting? After the story came out, Prince said he was shown “specific evidence” by sources from the intelligence community that the information was swept up in the collection of electronic communications and his identity was unmasked. The US official or officials who gave his name to the Post broke the law when they leaked classified intelligence. “Unless the Washington Post has somehow miraculously recruited the bartender of a hotel in the Seychelles,” Prince told the House Intelligence Committee in December, “the only way that’s happening is through SIGINT [signals intelligence].” Prince’s name was unmasked and leaked from classified signals intelligence. Oddly enough, it’s the same modus operandi used in the targeting of President Donald Trump, Attorney General Jeff Sessions and former National Security Advisor Michael Flynn. It is a federal felony to publish leaked classified information. Ask WikiLeaks founder Julian Assange about that particular unequal application of the law. The Deep State felons who are strategically leaking this information have politically weaponized our justice system and should be prosecuted for their attempts, with malice aforethought, to manufacture the overthrow of a duly elected President of the United States. The leaks and publication of classified information alone warrant investigation and prosecution to the fullest extent of the law in this matter, yet Mueller appears utterly uninterested in those crimes even as they go to the very heart of the credibility of his investigative mandate. The Foreign Intelligence Surveillance Act, or FISA, created a court called the Foreign Intelligence Surveillance Court (FISC) to allow secret warrants to surveil agents of foreign governments, be they U.S. citizens or non-U.S. actors. In October of 2016, the Obama DOJ/FBI successfully applied for one of these secret warrants to surveil Carter Page, a short-time Trump campaign volunteer. Since these warrants against U.S. citizens are outside of the bounds of the Constitution, they have to be renewed by applying to the court every 90 days after the first warrant application is approved. These secret warrants are so serious they have to be signed off on at the highest levels. The applications in question would have been signed off on by Obama administration FBI and DOJ officials including then FBI Director James Comey. At least one of the renewal applications would have been signed off on by our current Deputy Attorney General Rod Rosenstein. At the time of the signing, they all would have had the knowledge and/or the professional and legal duty to know that the dossier was used as evidence and also had the legal duty to know the evidence origins. The same would apply to the knowledge of the penalty for submitting unverified information to the FISC for the purpose of obtaining a warrant. It is a crime to submit under the color of law an application to the FISC that contains unverified information 50 U.S. Code § 1809). Comey’s “salacious and unverified” testimony before the Senate occurred eight months after the Clinton campaign-funded dossier was used in the first successful FISA court application to obtain a surveillance warrant against Carter Page, a Trump campaign volunteer for several months. The House Permanent Select Committee on Intelligence examined the documentation submitted to the court and concluded that the unverified information contained in the Steele dossier was in fact used in the FISC application, without disclosing to the court that it was an opposition research document paid for by Hillary Clinton and the Democratic National Committee. Neither the initial application in October of 2016, nor any of the renewals, disclose or reference the role of the DNC, the Clinton campaign, or any other partyn in funding Steele's efforts, even though the political origins of the Steele dossier were then known to senior DOJ and FBI officials. The timing of the applications, the inclusion of material the DOJ/FBI knew to be unverified at the time, and the successful result after this fraudulent inclusion speak to the level of criminal corruption of those who sought to destroy Donald Trump’s candidacy and still seek to overturn his election. The widespread abuse of the FISA-authorized court, FISC, was laid bare in a court memorandum of review of these abuses that was declassified in 2017 and went virtually unnoticed by the media because it didn’t fit their narrative. These are serious crimes that, left unchecked, lead nations down the path to tyranny at the hands of people who think they know better than citizens. It’s an age-old struggle America’s Founding Fathers knew well and did everything they could to prevent from happening. The FISC judges themselves have a duty to police their own courts and call to account these bad actors who, by all facts in the documentation I’ve personally seen, have committed a fraud upon the court. If these judges do not have the integrity to self-police in this matter, we in Congress must hold them accountable using the power granted to us in the Constitution. Congress has created every single federal court in the country except the Supreme Court. We have the duty to phase out, change or disband the FISC, all while developing a better solution to address the authorization of this sort of surveillance of foreign agents and actors. It is our duty to clean up the mess that the Obama administration demonstrated is far too easy to create. I pray these evil people will soon be brought to justice. What is Mueller's connection to the pedophilia scandal in DC? I don't understand why the flow of money to this evil witch hunt isn't shut off. Why are these people still being paid? Cut off the money supply and Mueller and his monsters will suffocate. Unbelievably unbelievable all this and we're still suffering through what should never have happened to start with. Trump should have fired Mueller day one and told Rosenstein try again. OMG.... when will it end? Mueller, Comey,Clinton, and all the other felons need to go to prison for treason. You have laid it all out here. What more does it take? These people need to be in prison. What utter nonsense. Mr. Gohmert is a man with too much idle time and combined with an addled mind we know what that leads to - a playground for the evil one. He certainly knows how to photoshop satanically. Mr. Gohmerts visage needs no photoshop. Mr. Mueller better hope that there is no hell; because, if there is, he will spend eternity there. What a piece of feces. Thank you Mr. Gohmert for mapping these actions of Robert Mueller for those of us not easily privy to such information. It is impossible for most citizens to know the truth from media outlets, as we all know and can do nothing about, and for someone who witnessed some of these hearings, participated in the committees, and known the players, your words are appreciated. I suspect, if this destructive machine to our Constitution is not stopped, even the liberal leftist and staunch Democrats will be crying when the abuses of law and order affect them personally. Wow! 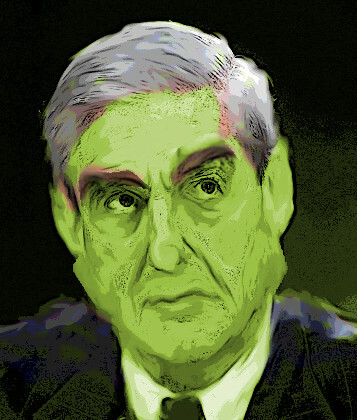 Stand up guy, Mueller is one of the worst slimebals they've got! Get him out. Investigation over, done! End it or fire them all! THANK YOU FOR ALL OF THIS AND NFORMATION!! THANK YOU FOR LAYING OUT ALL OF THIS INFORMATION!!! It was inevitable that man with such a record would become a hero to the liberal contingent. This is shocking to say the least. Terrifying. It's all here, and it is so much worse than the public suspected. Mueller's prosecutotial overreach has destroyed the lives of hundreds of innocent U.S. citizen. The outcome of his falsification of prosecutorial blood-libels have been unaninimously overturned on Appeal, whete he has been rebuked by judges who have found him to be pathological and vindictive. His appointment to the FBI was based on the merit of being the ultimately perverted swamp creature. The time has come for the tide of fortune to change, exposing him as one of the most evil and dangerous creatures of the Deep-State. Look at who appointed Mueller, Rosenstein; then look at who appointed Rosenstein, Sessions. This trio forms the Cabal that is doing the dirty work of the Democrats and the RINOS, namely, get rid of Trump at any cost. They in fact are not only targeting Trump, but are targeting you the American People who have denied these treasonous individuals what they see as their right to power and control over you. "We have grilled DOJ personnel in the past over the potential for NSL abuse, but both the House and Senate Committees were reassured that there were no known abuses of this extra-constitutional power. 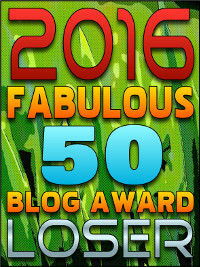 Unfortunately, the day came when we learned that there had been an extraordinary number of abuses." Oh, please. You were a prosecutor and then a judge. Accepting the assurances of the people wanting to use these letters makes you as guilty as they are. You knew full well that such a letter cannot take the place of a proper warrant, but you let them have their way, and now you pretend to be shocked that these weasels did the worst things you could have imagined with this newfound power you let them keep. Now here you come with a book length article describing the criminal actions of Mueller that you were in a position to stop. Mueller is your fault. congressman. You let him do whatever he wanted so that you could keep your seat. Nothing you have to say here helps. The horse is out of the barn and you and your fellow congress members let him out.